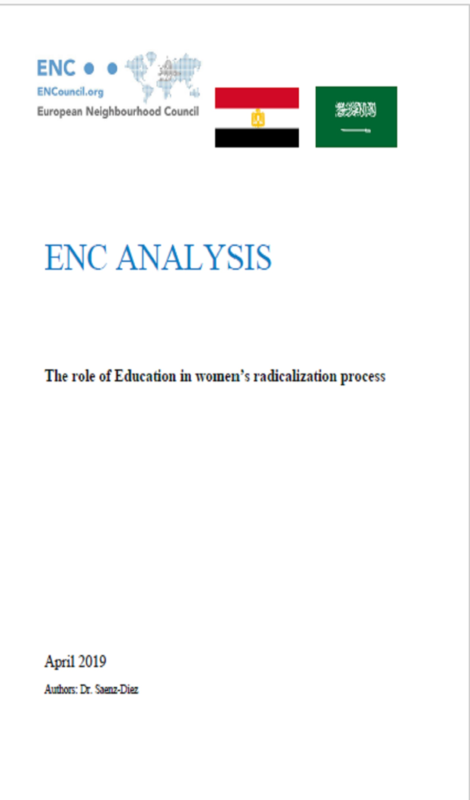 The European Neighbourhood Council (ENC) released its new analysis entitled “The role of education in women’s radicalisation process“. The ENC Analysis is written by Dr. Eva Saenz-Diez, ENC Academic Council Member and researcher at GERMAC (Study and Research Group on the Contemporary Arab World) at the Université Catholique de Louvain (UCL). She analyzes the role of education through the Arab world and she examines how education and religious discourse can induce to radicalization. The full analysis is available in the PDF version below.